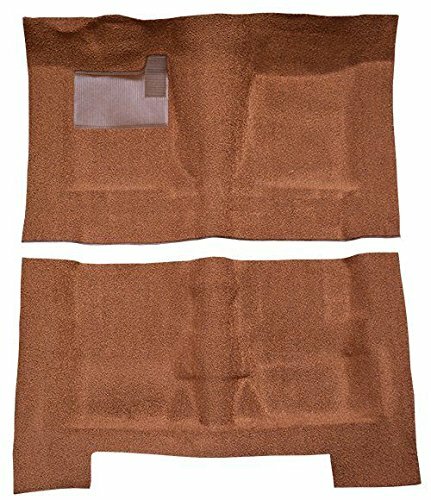 Number of pieces included in the kit is 2.Fits Models: 1968 1969 1970 1971 1972 Please contact us if you are trying to match a factory color.Each carpet kit is made to order and designed to fit your vehicle's exact year, make and model. 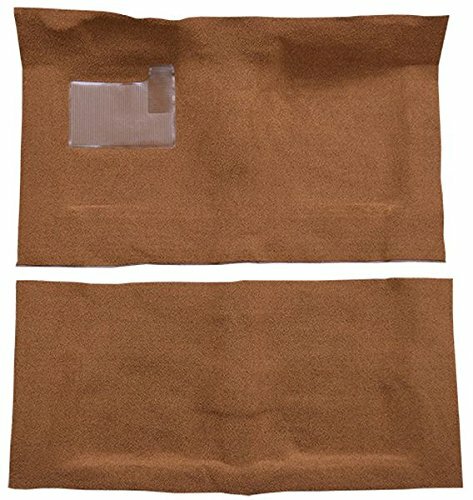 This kit is made from nylon carpet with an OE-style welded heal pad and it includes easy-to-follow installation instructions. 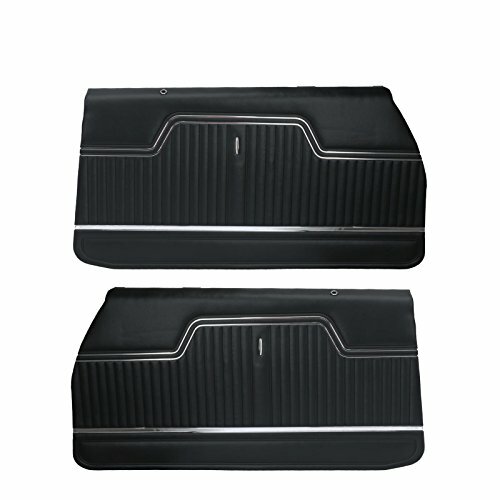 Our molded carpet is designed to fit the floor pan of your vehicle so there are no pockets of loose fitting carpet. 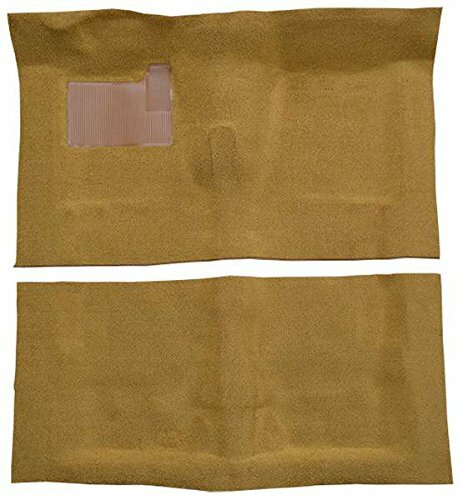 We use a heavy Jute pad bonded to the underside of the carpet, which softens the floors for your feet, as well as deaden any sounds from under the vehicle. 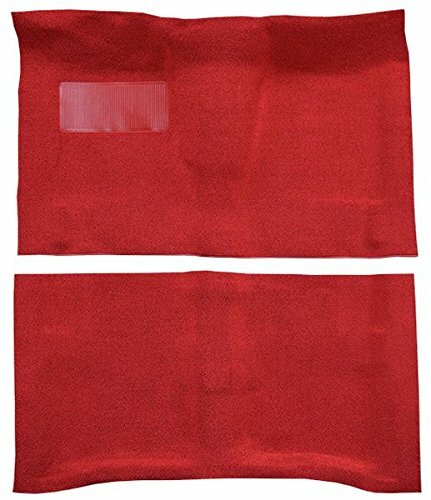 Number of pieces included in the kit is 2.Fits Models: 1964 1965 1966 1967 Please contact us if you are trying to match a factory color.Each carpet kit is made to order and designed to fit your vehicle's exact year, make and model. 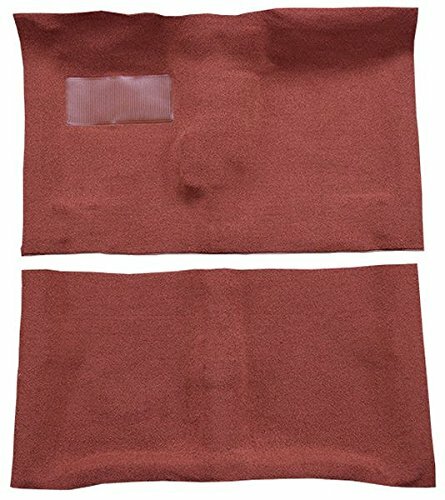 This kit is made from nylon carpet with an OE-style welded heal pad and it includes easy-to-follow installation instructions. 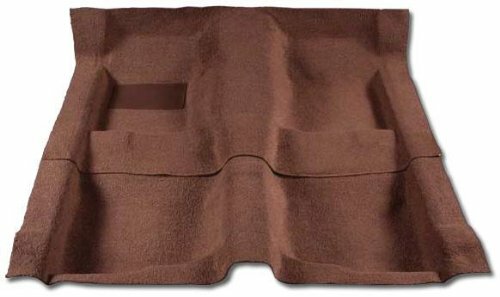 Our molded carpet is designed to fit the floor pan of your vehicle so there are no pockets of loose fitting carpet. We use a heavy Jute pad bonded to the underside of the carpet, which softens the floors for your feet, as well as deaden any sounds from under the vehicle. 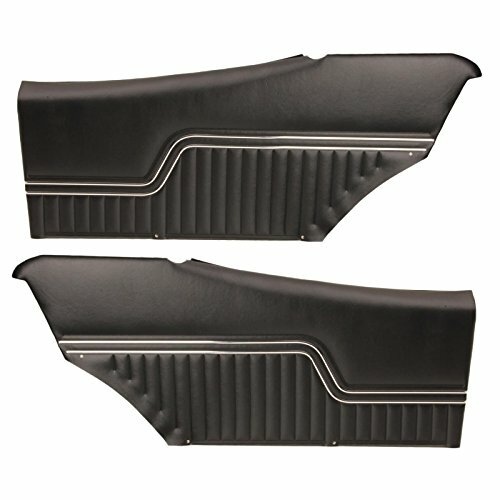 PRE-ASSEMBLED DOOR PANEL FRONT CHEVROLET CHEVELLE 70-2 BLACK Most of our door panels are also available Pre-Assembled. These doors are a snap to put on and eliminate your need to save and re-mount trim pieces. P.A.D.s without top rails include the basic door panel and any or all of the following on that make and model: mid-line trim molding, door emblems, or buttons. The only work remaining is to remove the old panel and install the new one. PADs with rails include the basic door panel, a new top rail (either metal or ABS substrate), our Windowfelt brand weatherstripping, door lock rod ferrule, and depending on make and model upper and/or lower trim moldings and buttons. All these items are assembled onto the basic door panel. 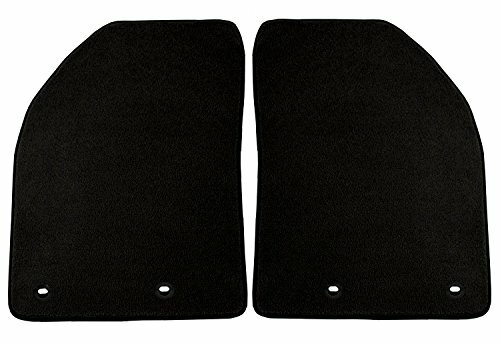 PRE-ASSEMBLED DOOR PANEL COUPE CHEVROLET CHEVELLE 70-72 BLACK Most of our door panels are also available Pre-Assembled. These doors are a snap to put on and eliminate your need to save and re-mount trim pieces. P.A.D.s without top rails include the basic door panel and any or all of the following on that make and model: mid-line trim molding, door emblems, or buttons. The only work remaining is to remove the old panel and install the new one. PADs with rails include the basic door panel, a new top rail (either metal or ABS substrate), our Windowfelt brand weatherstripping, door lock rod ferrule, and depending on make and model upper and/or lower trim moldings and buttons. All these items are assembled onto the basic door panel. 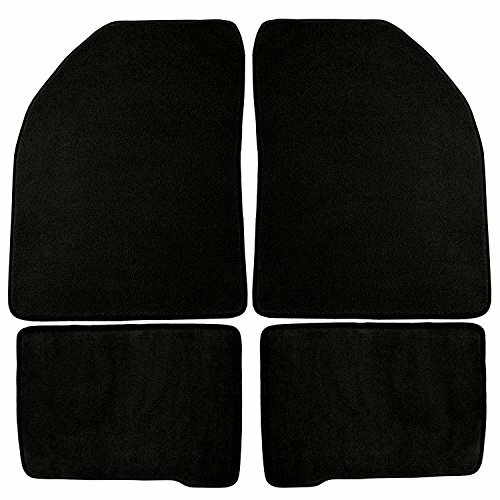 1968-74 Chevrolet Chevelle Camaro 396 SS Black Carpeted Floor Mats Set of 4 This is a set of floor mats. Front and rear. They are embroidered black loop carpeting. 1969 Chevrolet Chevelle SS Green \Muscle Machines\" 1/24 Diecast Model Car by Maisto"
Brand new 1:64 scale diecast car model of 1965 Chevrolet Chevelle Wagon #40 Powder Blue "Demolition Derby" Limited Edition to 3,700 pieces Worldwide die cast model car by Johnny Lightning.Brand new box.Real rubber tires.Detailed interior, exterior.Comes in a blister pack.Die-cast metal body and chassis.Dimensions approximately L-3 inches long. Brand new 1/43 scale diecast car model of 1970 Chevrolet Chevelle SS 396 Green with White Stripes "John Wick" (2014) Movie die cast model car by Greenlight.Limited edition.Brand new box.Chrome accents.Real rubber tires.True-to-scale detail.Themed packaging.Detailed interior, exterior.Officially licensed product.Authentic movie decoration.Comes in plastic display showcase.Made of diecast with some plastic parts.Dimensions approximately L-4.5 inches long. Brand new 1:64 scale diecast car model of 1965 Chevrolet Chevelle Wagon #40 Willow Green Metallic "Demolition Derby" Limited Edition to 3,700 pieces Worldwide die cast model car by Johnny Lightning.Brand new box.Real rubber tires.Detailed interior, exterior.Comes in a blister pack.Die-cast metal body and chassis.Dimensions approximately L-3 inches long. Limited edition high quality diecast vehicle. 1966 Chevrolet Chevelle SS 396 Blue \Classic Muscle\" 1/24 Diecast Model Car by Maisto"
Brand new 1:64 scale diecast car model of 1966 Chevrolet Chevelle SS 396 Artesian Turquoise Poly Limited Edition to 2,016 pieces Worldwide die cast model car by Autoworld.Brand new box.Detailed exterior.Real rubber tires.Accurately scaled.Has opening hood.Authentic factory colors.Comes in a blister pack.Matching stock wheels and tires.Die-cast metal body and chassis.Dimensions approximately L-3 inches long. GREENLIGHT 1:64 HOLLYWOOD SERIES 18 - JOHN WICK CHAPTER 2 - 1970 CHEVROLET CHEVELLE SS 396 44780-FIncluded : Manufacturer : GreenlightModel Name : 44780-FModel No : 44780-FColor : GreenScale : 1:64Opening : N/ASize Approximate : 3.5"Weight (Approx) : 1LBMaterial : Diecast metal with some plastic partsTrue-to-scale detailLimited EditionShippingShip within 1 business days. This item will be shipped via freight carrier to your home, excluding rural routes, remote areas not in close proximity to areas commonly serviced by freight carriers, islands, APO/FPO addresses, P.O. Boxes, Alaska and Hawaii. Please provide your daytime and evening phone numbers during check out so our carrier can contact you to schedule delivery. Return PolicyWe accept 15 days for return (20% re-stocking fee).You are responsible to pay the return shipping fee when you return item for any of the following reasons:You refuse a delivery without inspection.You miss a delivery appointment.You return a non-defective or undamaged product. Package Damage or DefectsIf your shipment is severely damaged, please refuse the shipment, we will refund the full cost of the merchandise and shipping charges. This sweet diecast package contains two great products at one low price! Brand new 1:64 scale car model of 1969 Chevrolet Chevelle SS White with Black Top Greenlight Muscle Series 20 die cast model car by Greenlight.Brand new box.Limited edition.Chrome accents.Real rubber tires.True-to-scale detail.Authentic decoration.Metal body and chassis.Detailed interior, exterior.Comes in a blister pack.Officially licensed product.Dimensions approximately L-3 inches long. ACME 1:18 1970 CHEVROLET CHEVELLE SS 396 (GOLD) A1805509Included : Manufacturer : ACMEModel Name : A1805509Model No : A1805509Color : GoldScale : 1:18Opening : DoorSize Approximate : 10.5"Weight (Approx) : 3LBMaterial : Diecast metal with some plastic partsTrue-to-scale detailLimited EditionShippingShip within 1 business days. This item will be shipped via freight carrier to your home, excluding rural routes, remote areas not in close proximity to areas commonly serviced by freight carriers, islands, APO/FPO addresses, P.O. Boxes, Alaska and Hawaii. Please provide your daytime and evening phone numbers during check out so our carrier can contact you to schedule delivery. Return PolicyWe accept 15 days for return (20% re-stocking fee).You are responsible to pay the return shipping fee when you return item for any of the following reasons:You refuse a delivery without inspection.You miss a delivery appointment.You return a non-defective or undamaged product. Package Damage or DefectsIf your shipment is severely damaged, please refuse the shipment, we will refund the full cost of the merchandise and shipping charges.